To the singing of Ayyappa bhajans and dancing to the Lord, slogan shouting against Kerala communist Government atrocities on Sabarimala devotees and the need to free Hindu Temples from Government control, with messages on unfair judicial overreach of Supreme Court on the issue, the connection of the missionary and divisive forces in the country, the crowd has made a very effective statement on the Sabarimala issue. Most of the participants in the rally are women who made statement that they join with millions of women who stand to respect the age old traditions. The participants drove home the Sabarimala issue from various aspects of the case in their interactions with the media as given below. Judicial aspects: There are many issues of the Judiciary handling of this case. Whose fundamental rights is Supreme Court protecting by their judgement? Who are those initiating the request? While they may have hindu sounding names, does the 4 out of 5 justices who delivered majority judgment has any basic knowledge of Hindu customs and traditions, especially of the region? Why is it only Hindu temples and Hindu festivals/activities from state control of temples to limiting time for burning Diwali firecrackers to Jallikatttu, that seem to be on the receiving end of the SC judgments? What business SC got in delivering judgments on age old traditions unless there is an institutional discrimination? India’s traditions and customs are based on 10,000 year old ancient heritage and how can Supreme Court view this case based on foreign concept of ‘denomination’ instead of concept of ‘the statue as living God’ in Hindu tradition? Does these judges have any common sense on not to look at the way these cases are being brought to court by shady NGOs with missionary and leftist leanings who have little respect to India’s ancient heritage and are bent on destroying the ancient Indian traditions so as to convert and divide India? 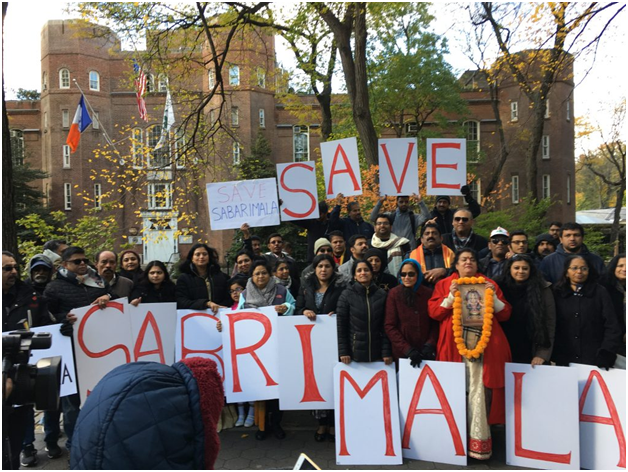 Do they care to study all the history of missionary activities to destroy the Sabarimala temple precisely because it is the place where largest number of devotees visit in any worship place in the world (50 million compared to 3 million to Mecca per year for example) and destroying and exploiting it becomes the first priority? 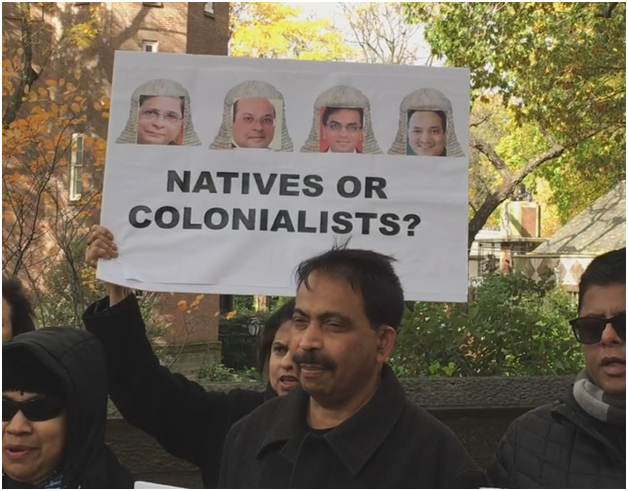 When you read the judges arguments about the case one wonders whether this case is being heard in Indian court or in the court during the era of colonialist judges. These justices need to study Mahatma Gandhi ji’s abhorrence to missionary ways and threat it poses to nationhood! Living in ivory towers, connected mostly only to rich and powerful, disconnected from the roots of their own country, the judiciary of India has become an increasingly corrupt institution that needs serious intervention. Lot can be said about SC Judges behavior, their overreach in case of Hindus and cowardice in case of non Hindus, particularly Muslims and Christians. In the case of Triple Talaq the same Supreme Court insisted on the victims to file but in case of Sabarimala they cared little on who is filing the case. As it turned out most of those who attempted entry to Sabarimala are Christians and even a Muslim woman who believed to have carried a soiled sanitary napkin as an offering to the Lord to insult and disgrace. 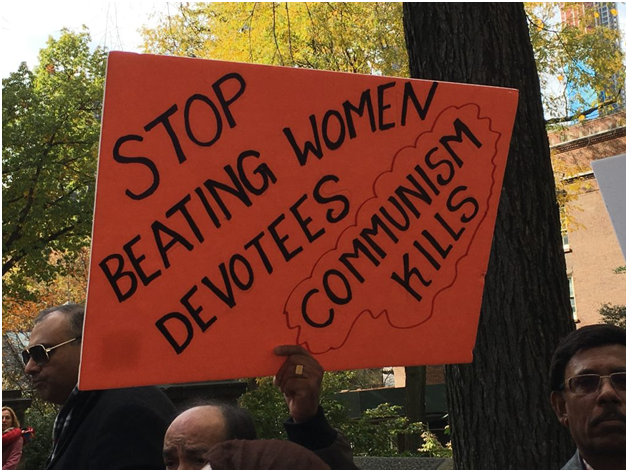 It is the women devotees who faced the brutal police beatings and arrests that resisted their entry and calling for respecting traditions. Did these so called learned judges consider the traditions of the region where there are festivals only women are allowed and the concept of statue as ‘the living God’ that needs to respect celibacy status. Are they living in another world, not to know that the Indian heritage and Hinduism is the only major religion in the world that grandly celebrates feminine in divinity as observed by worship of feminine during 9 day Navarathri and many in west who are struggling to bring feminine in divinity are awed by India’s traditions of respecting feminine in divinity? The lawyers brought to the attention of the court the Hindu concept of ‘Ardha Nareeswara’ where man and woman are equal halves in Hindu religion but they ignored and argued based on foreign concept of denominations. They say they are protecting the fundamental rights but in truth are cowards who dare not address the institutional discrimination in every single one of the millions of Mosques that does not permit Muslim women to worship. Even the Mosque right close to Sabarimala temple made clear that they will not allow women to enter the Mosque! Don’t the Judges know that only Hindu temples are being looted to the hilt by State Governments but they have scant respect to the concerns of Hindus and dismiss the cases that brought attention to them. They care little the same loot is used for secular purposes and even to fund the trips to Hajj and Bethlehem while their worship places are never touched! If Delhi is believed to have pollution due to Diwali crackers (which is not true because it is now understood due to Monsanto dictated schedule of burning the crops) why would they restrict Diwali fire crackers throughout the country? Millions of animals are slaughtered in the worst possible display with enormous amount of water and pollution during Eid and other festivals and that is not pollution? Jallikattu is supposedly animal cruelty but mass slaughtering of animals filling large parts of the country with blood and animal waste is not animal cruelty. They are concerned about rights of Rohingyas but the little concern for plight of half million Kashmiri Hindus who were thrown out of their own homes for last 30 years. The Green Tribunal is is even concerned about devotee chantings in Amarnath! Reasons are invented that even Ganesha worship is contributing to pollution. 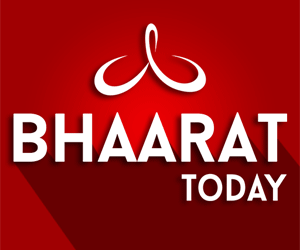 There is an organized and coordinated attack of India’s ancient heritage way of life inventing all kinds of methods and excuses using Courts and Green Tribunals with its corrupt and pliable justices by the missionary, leftists and divisive forces and the country need to wake up to what is going on? State Government aspects: Even if Supreme Court passed judgement, what is the reason for State Government hurry to implement using such large police forces, resorting to beatings and arrests of unarmed devotees begging to respect traditions? There are many Supreme Court cases including the noise pollution of the Mosques 5 times a day, 365 days a year they have not implemented. Why would they appoint non-Hindus to Devaswom board? The truth is the missionary/leftist complex want to convert the Sabarimala temple into ‘Museum’ and exploit the surrounding rich area and the money from devotees for corruption and other activities just as they did throughout the history to the native religions in the world (e.g, the pagan harvest festival is today Halloween with black friday sales activity in US). The same secular Government loots the devotees contributions with hefty charges but provides land for a nearby church free. 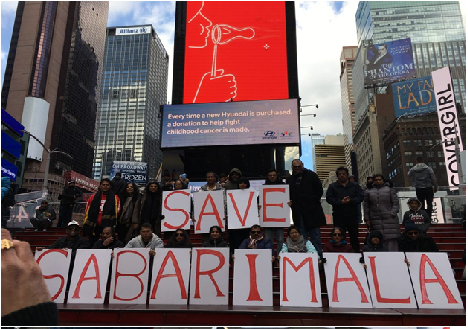 Missionary and divisive forces: The biggest factor in the coordinated attacks on India’s heritage, of which Sabarimala is only one of cases is caused by the of missionary and divisive forces of India. The history of missionary attacks on Sabarimala is well known, in 1950 they set fire and burnt the temple down. They invented a bogus cross which they implanted to take over the area that was quickly exposed. The history of missionary activity throughout the world and how they treated so called, ‘pagan’ religions is well known from Americas to Africa to Asia. The fact that Sabarimala receives 50 million devotees per year, the highest in the world with largest contributions makes Sabarimala the prime target. The article http://indiafacts.org/christian-conspiracy-sabarimala/ explains in detail the missionary agenda on Sabarimala. Missionaries are actively engaging in anti-superstitution bills across the country to categorize the Hindu ways of worship as demonic practices as they did throughout the world to pagan religions. 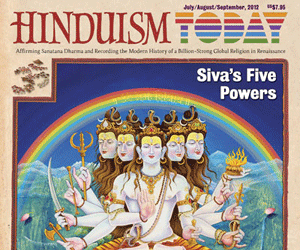 Before long, even Ganesha worship will be categorized as devil worship. Using millions of dollars of funds, they are working with corrupt leftists Governments, courts and dubious tribunals inventing all kinds of excuses to deal a final blow to Hindu way of life. Social aspects: There are many social aspects to Sabarimala tradition where devotees follow 41 days of austere practices of prayers, abstaining from meat, alcohol and treating every other person as ‘Swami’ equivalent to Ayyappa. This has for many become a redirection of compass, their physical and mental health. For many poor families where women and children suffer from drinking habits of male members, this practice has helped them to stop drinking and improve the conditions of the family. It is the women and families who will be affected most by sacrilege of the faith they dearly hold. Hindus worldwide are waking up to the civilizational challenges especially in a corrupt system of missionaries, judiciary, media, politicians. They do not want to me mute observers to this assault. As the rally dispersed, they mused that Mahatma Gandhi will be turning around in his grave to see what missionaries with local colluders are doing to Hindu way of life and assaulting India, with determination to fight back. It is deja vu again.